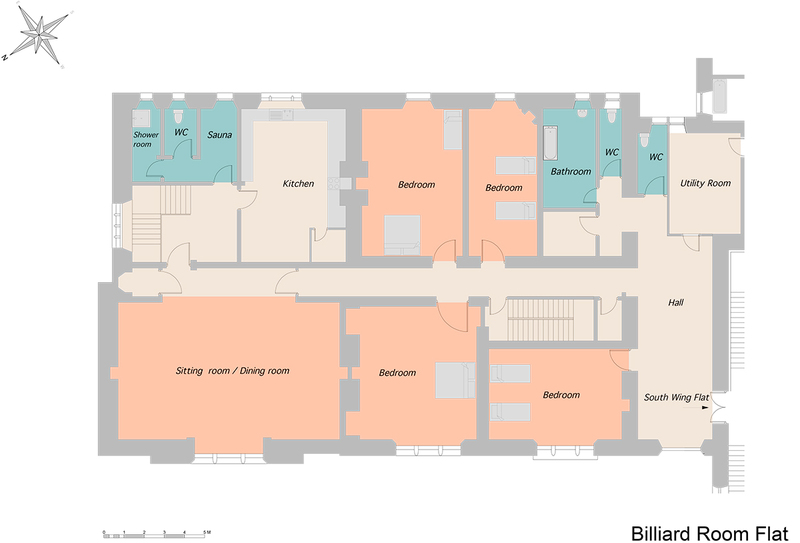 The South Wing Suite combines both The South Wing Flat and The Billard Room Flat to provide a wonderful large self-catering apartment suitable for up to 21 guests. 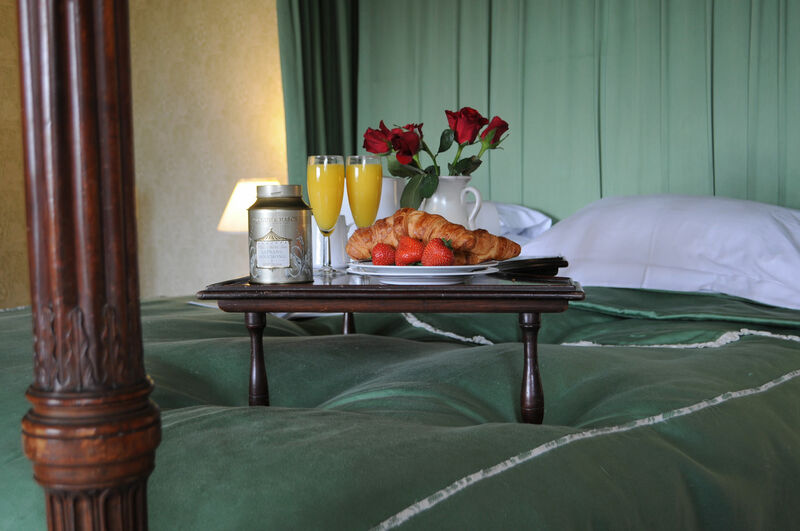 Accommodation comprises of 10 bedrooms: our main bridal suite with an ornate four-poster bed, a further kingsize double room, 2 double rooms, a family room with double & single bed, and 5 twin rooms. 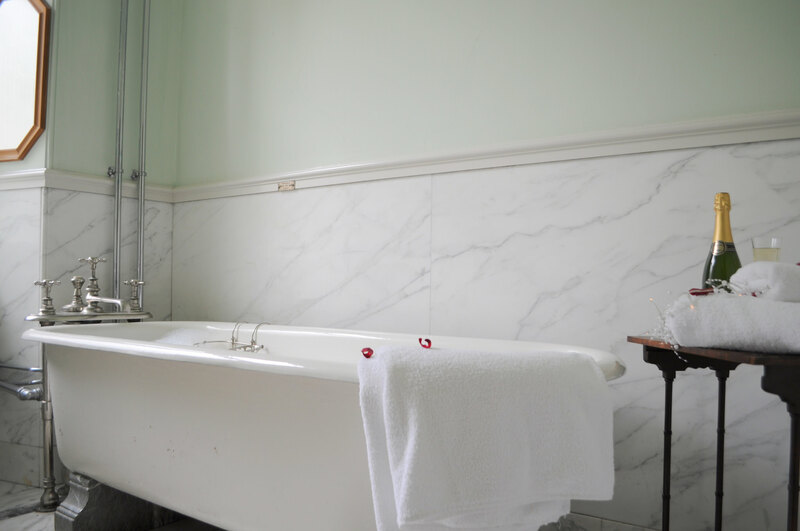 There are 3 bathrooms which boast original Victorian fittings, 2 modern shower rooms with WC and 3 separate WC’s. This apartment has its own cedar-clad Sauna – just perfect for soothing sore muscles after a days hiking on the estate. 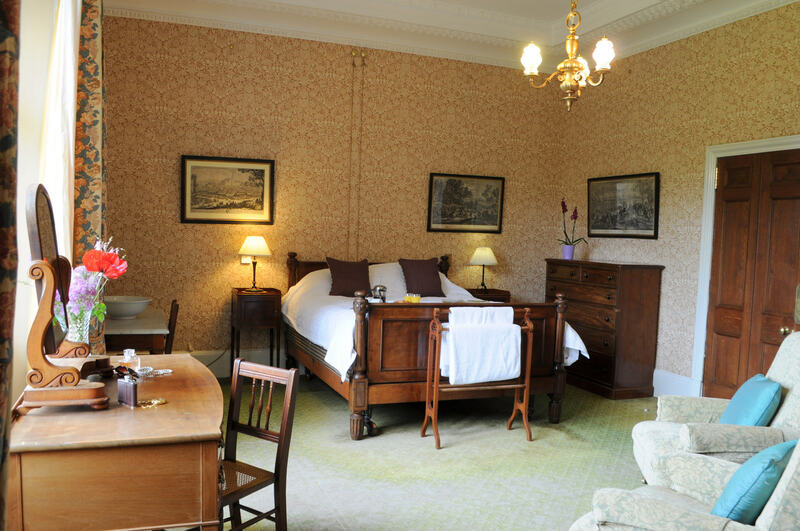 The suite has 2 well-equipped kitchens and 2 drawing rooms. 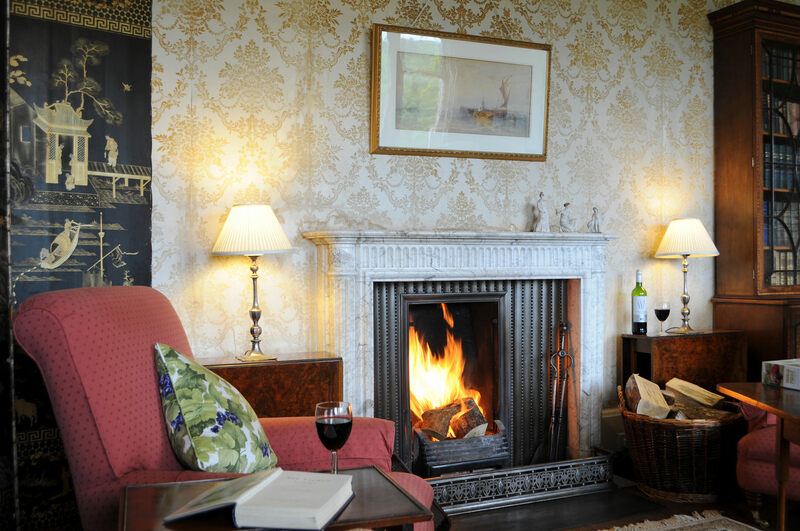 Both have open fires, flat screen TV’s with Freesat, DVD players and docking stations. WiFi is included with every booking along with a starter pack of logs. More logs are available to purchase from the Information Centre in the Estate Courtyard. Unfortunately, no dogs are permitted in this apartment. 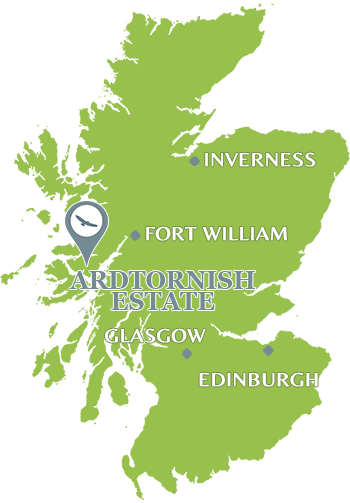 We have been coming to Ardtornish for many years and love the place. 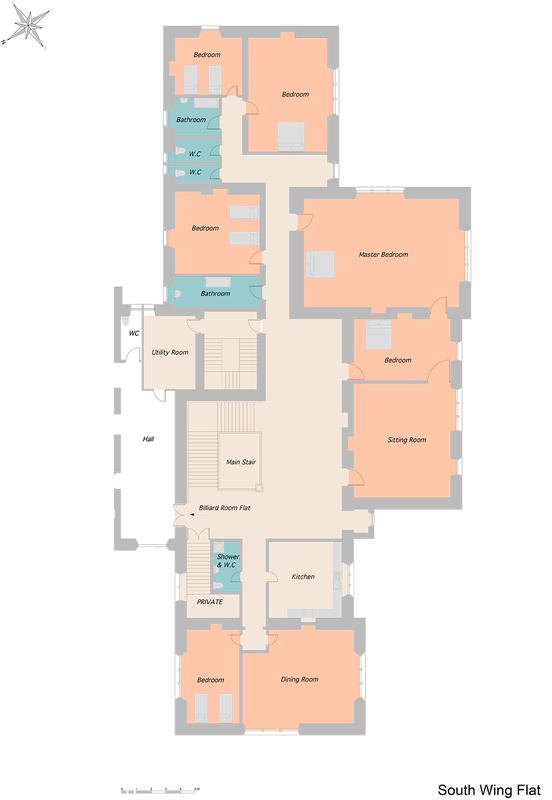 The South Wing is extremely spacious and is ideal for sharing a family holiday. The views down the loch are beautiful as are the gardens. 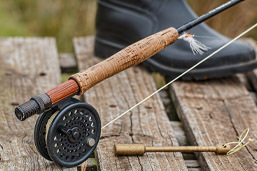 There is something for everyone be it fishing on the river or in the lochs, biking, kayaking, walking or just relaxing with a good book. 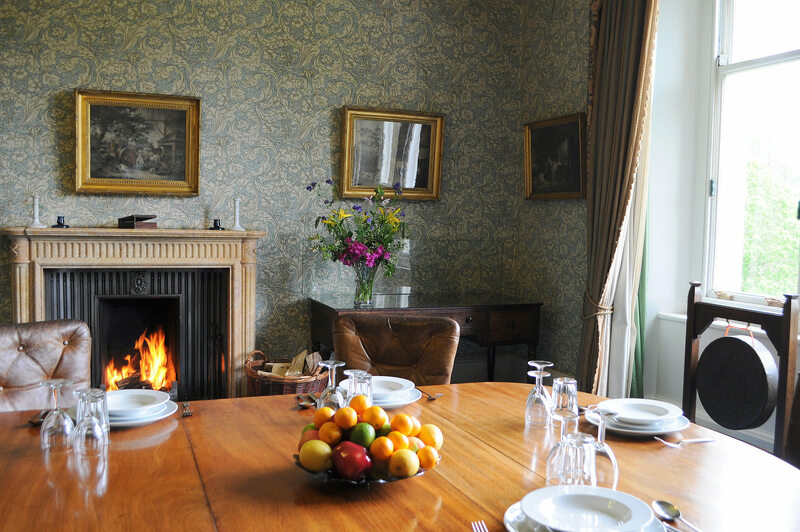 The South Wing is the perfect venue for those with a large party of up to 12 wishing to enjoy spacious elegant and extremely comfortable country accommodation. The views are amazing and the property is warm and welcoming with beautiful period furniture. We stayed at Ardtornish after walking the West Highland Way. It was the perfect end to our first trip to the Highlands. 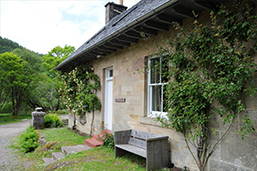 The accommodation was superb, the staff extremely helpful and the Estate offered wonderful opportunities for walking and exploring. 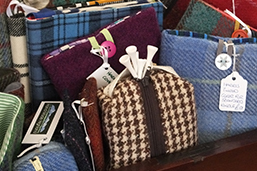 We will be back and will recommend Ardtornish to others (we already have). 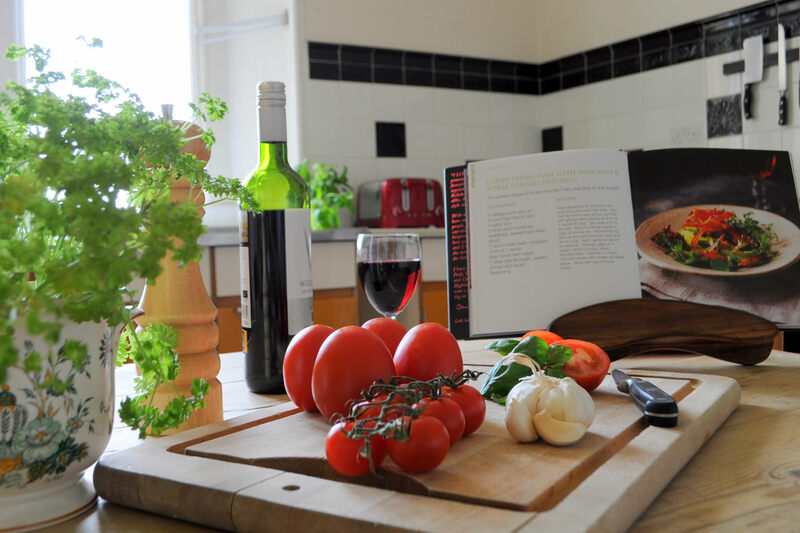 You asked for sharper knives throughout the self-catering cottages and apartments. We had the knives in all properties sharpened.